Submitted by Simon Coleman on Tue, 13 Oct 2015 - 18:08. 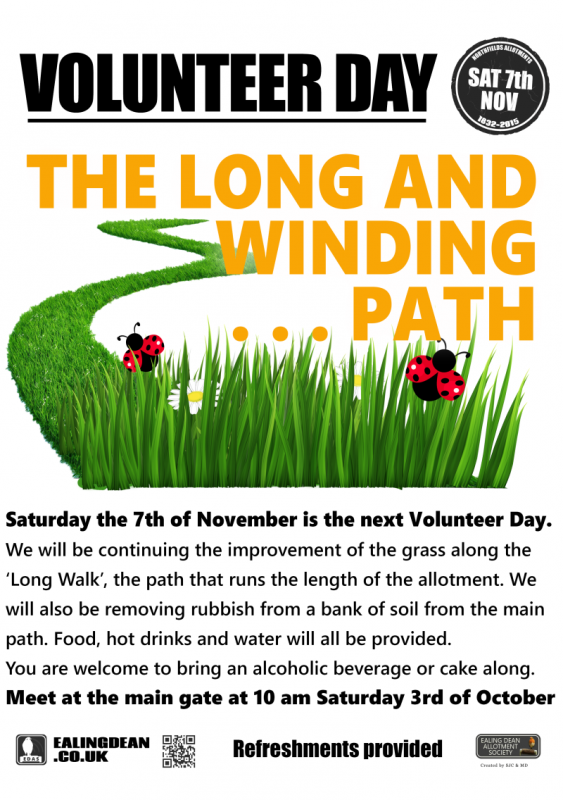 Saturday the 7th of November is the next Volunteer Day. We will be continuing the improvement of the grass along the ‘Long Walk’, the path that runs the length of the allotment. We will also be removing rubbish from a bank of soil from the main path. Food, hot drinks and water will all be provided. You are welcome to bring an alcoholic beverage or cake along.